EBLEX is launching a new industry-wide campaign to stimulate and drive sales of lamb. Reduced supply coupled with little innovation in new cuts has seen lamb become somewhat of a premium meat of late. But with good numbers of new season lambs now flowing through the supply chain, EBLEX believes this is an ideal time for the retail and foodservice industries to put lamb back on the nation’s plates. The three-year ‘Discover Lamb’ campaign aims to reposition lamb as an affordable meat that families can enjoy throughout the week. Better value cuts with greater consistency, along with recipe ideas and cooking tips, in-store promotions and a consumer PR campaign, will all be driven by EBLEX to encourage consumers to purchase lamb. Tailored for each sector, the activity focuses on three key areas: building a market for lamb mince; developing a market for forequarter lamb cuts and enhancing the market for prime lamb cuts. The market for lamb mince is currently very small compared with beef mince, highlighting a market opportunity that should be exploited. Butchers who are members of the Quality Standard Mark scheme and signed up to receive marketing support from EBLEX will receive a series of new point-of-sale kits, the first of which was issued at the end of July with a focus on lamb mince. The second kit, which will be issued in September for the autumn trading period, will focus on lamb shoulder cuts and a third kit, which will be issued in November and will run throughout Christmas, will include a range of premium lamb cuts. Each kit will contain eye-catching posters for butchers to display in their shops, plus 50 recipe leaflets to give to their customers with tasty recipe ideas. The recipe leaflets will also contain a competition, offering customers the chance to win branded baking dishes or roasting tins. A two-tiered in-store promotion is being made available to multiple retailers. The first is an on-pack offer on Red Tractor assured diced lamb and lamb mince. The promotion, which will begin in September, is linked to EBLEX’s 5by25 campaign which, with the help of charity partners, aims to encourage young people to learn how to cook five dishes by the age of 25. On-pack labels will invite consumers to ‘Vote to Win’. By placing a vote for either ‘Ben Shepherd’s Pie’ or ‘Edwina’s Lamb Curry’, consumers are in with a chance of winning one of 25 multimedia tablets. 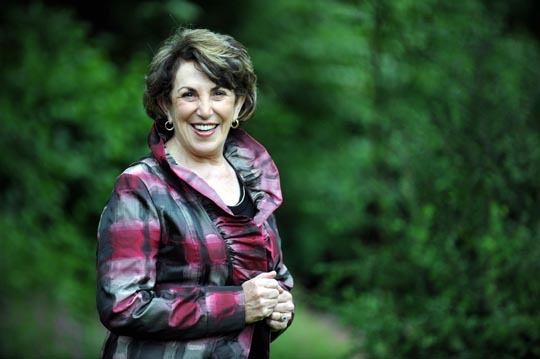 The activity will be supported by a consumer PR campaign featuring celebrities Ben Shephard and Edwina Currie. The pair will tour the country stopping at youth organisations and community centres, in a bid to get young people cooking and mastering their signature dish. Each celebrity is aiming to gain the biggest following for their dish by encouraging people to vote for their favourite via the campaign website www.5by25.com and by spreading the word through Facebook and Twitter. 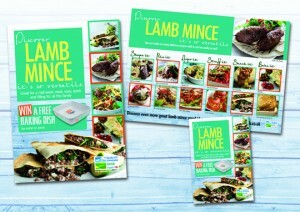 A premium Quality Standard Mark lamb mince promotion is also available for multiple retailers to use on-pack in stores. 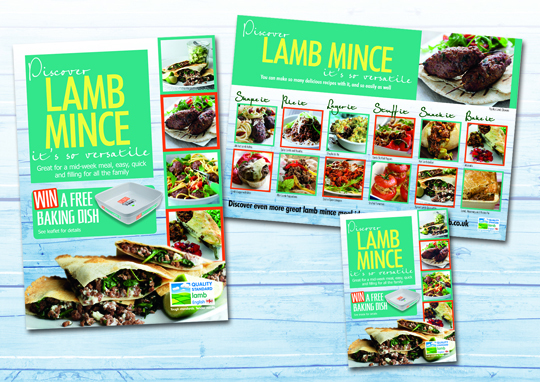 Branded recipe leaflets, barker cards and on-pack stickers will all be available for retailers to use. The promotion offers customers the chance to win one of 200 branded baking dishes and a recipe booklet. In addition, EBLEX is putting emphasis on a number of alternative and added-value forequarter cuts to encourage consumers to cook more lamb during the week. The kitchen-ready cuts, which will benefit from improved butchery techniques and presentation, were developed to be easy to cook in the home and to provide good value for money. They include: daubes and Victoria roasts from the shoulder, along with noisette joints from the leg. Mike Whittemore, EBLEX trade team marketing manager, said: “The domestic lamb sector has been through a tough period but things are looking up. As new season lamb becomes more widely available it will begin to appeal more to price conscious consumers.